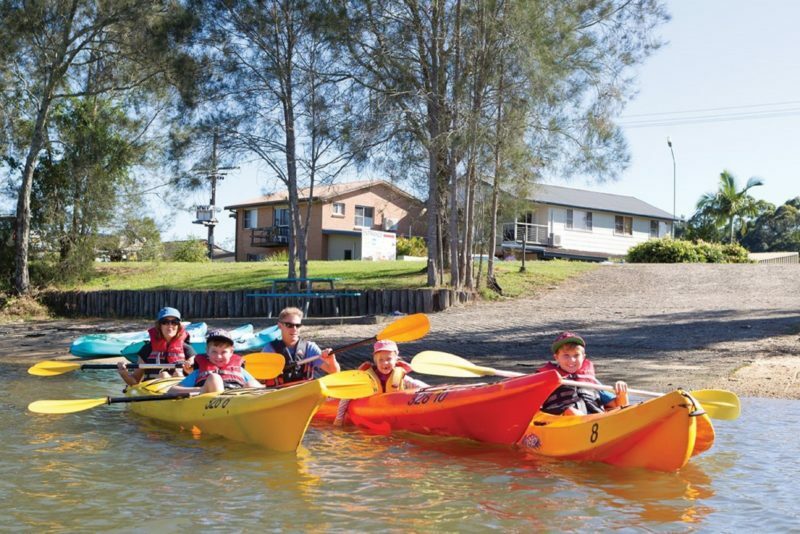 The multi award winning Nambucca River Tourist Park enjoys a magical waterside location along the Nambucca River and boasts a selection of holiday accommodation and facilities including a giant jumping pillow, putt-putt golf and private fishing jetty and boat ramp. 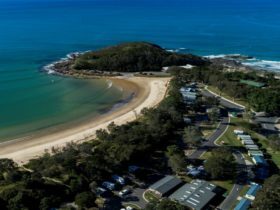 Located between Nambucca Heads and Macksville on the North Coast of NSW, half way between Sydney and Brisbane, the park offers a one stop holiday park with generous caravan and camping sites, luxury villas and self-contained cabins. The modern camp kitchen has free gas barbecues, cooktops and covered cafe style seating. 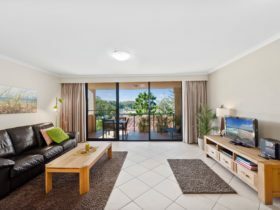 Additional facilities include giant outdoor chess, games room, lawn bowls, golf driving range, kayaks and pedal bikes will keep everyone entertained. 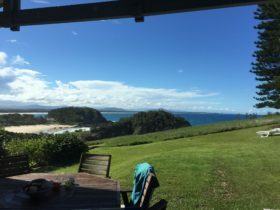 A perfect base to explore the Nambucca Valley, Coffs Coast and Bellingen, Dorrigo World Heritage listed National Park and Macleay Valley. Self-contained two bedroom, five berth cabin (two adults and three children) with en suite, extra large covered veranda, outdoor setting and carport. 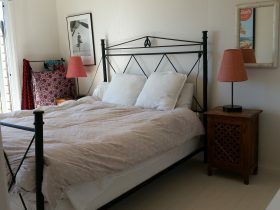 Main bedroom with double bed, air-conditioning and ceiling fan. The second bedroom has triple bunks. Two bedroom self-contained cabin with en suite. It has reverse cycle air-conditioning for all year round comfort with a large veranda for outdoor entertaining. Sleeps up to five (two adults and three children). 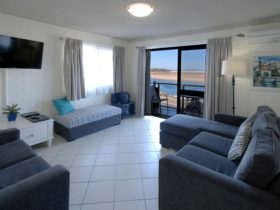 Affordable luxury spacious, modern two bedroom villas, sleeping up to seven people. Queen bed in main room; second bedroom has either two sets of bunks or with single/double bunk combination. Two bedroom self-contained cabin with en suite. The cabin overlooks the Nambucca River with a carport, covered deck and outdoor setting. Sleeps up to five. Reverse cycle air-conditioning for year round comfort. Large flat grassy sites for tents, camper trailers and caravans. Power and water access for each site. Large grass unpowered sites with parking. Additional parking for boats and trailers available. Large powered slab sites to suit all size caravans and motorhomes.